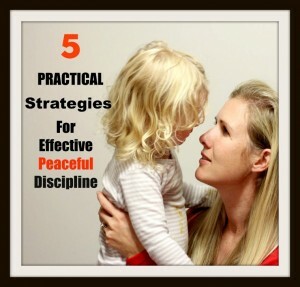 When we introduced a dummy to our youngest daughter when she was an infant, we had not yet discovered the wonderful world of respectful parenting and did not understand that our daughter would have been better off without it. We knew, however, that one day she would need to be weaned from it. We were advised to complete the weaning process by the age of six months or wait until she was two years. 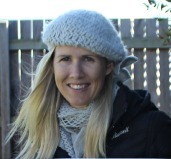 With a myriad of medical issues as a youngster, the time just never seemed right to wean before six months and before we knew it she was eight months old and the dummy was well and truly ensconced in our lives. Just recently, however, our youngest turned two and it came time to think about helping her wean from her dummy. There are many reasons parents decide to become dummy free including an increase in reliance on it throughout the day, disrupted sleeps whereby the child wakes when they can’t find their dummy, delayed speech caused by frequent dummy use and the list goes on. None of these were of concern for us. Our daughter only used it when she slept, slept soundly once asleep and happily took her dummy to the sink for washing once the sleep was finished. She never whinged for it and rarely woke looking for it. Having her dummy also helped her rest in her room for her day sleeps, and overall it was a positive experience for her and the family. What was concerning us, however, was her teeth. She was showing signs of her teeth being pulled forward and her palate pushed up and our dentist advised that the dummy was the culprit. We therefore made the decision to remove it. We knew it was not going to be easy but we had faith in our little girl and in ourselves as her confident parents that together we could do it. We read countless articles on differing ways to approach dummy weaning but to us, it was important that we involve our daughter fully in the process and treat her with due respect and empathy. The fact was, we had given her this crutch in a somewhat self-serving manner so we knew we were going to fully support her and guide her gently through the process of taking it away. We chose to adopt a little bit of magic to bring a soothing perspective to the process. 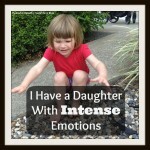 We knew that regardless of how we approached this, it was going to be an emotional time for our daughter and we were not afraid of those emotions. We fully intended to allow her to grieve in whatever way she needed to. Childhood is the only time in our lives where we have the capacity to believe in the wonder and enchantment of magical mysteries. My daughters are fantastically imaginative so I knew the idea of a Dummy Fairy visiting their home would be exciting to them. We aimed for a weekend where our schedules were clear. If we were going to have late nights and disrupted sleep, we needed to know that we could lay low in the days following. 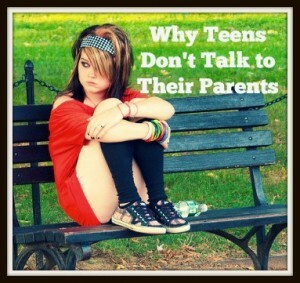 We were fully prepared to listen to the needs of our daughter throughout the process and resolved not to abandon her if she clearly indicated she needed us with her. 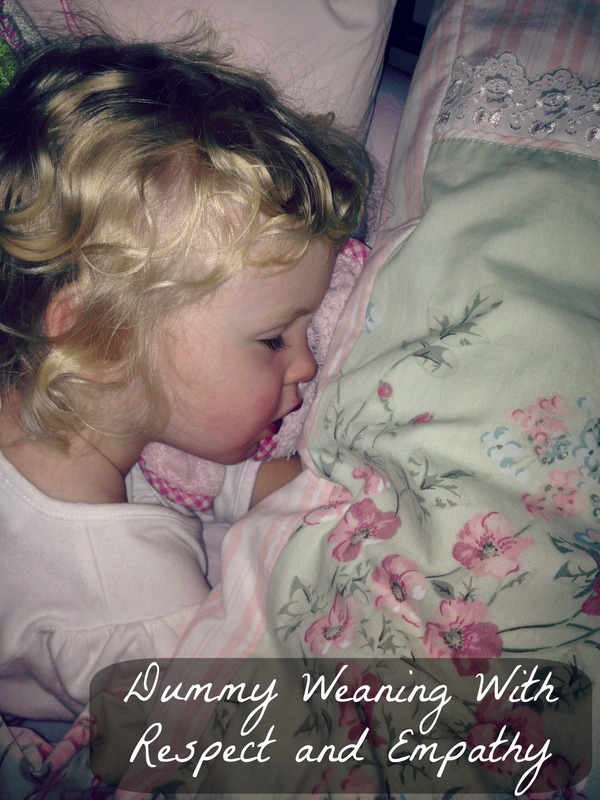 In the weeks leading up to the actual dummy weaning weekend, we spoke about the fact that as she was getting older the dummy was affecting her teeth and that soon, she would not need to use a dummy to go to sleep any more. Usually this resulted in her firmly holding her dummy in her mouth as if in objection to the idea of giving it up. But, strangely, in the end it was her decision to let them go and we couldn’t be more happy with how it all panned out. This was a Friday night and the night we decided would be best to start dummy weaning. We spoke to both girls about Dummy Fairies during the day and introduced the idea that a fairy comes to collect the dummies. We let our daughter know that it was up to her when the Dummy Fairy came. We had had a particularly unsettled day on this Friday and she had had a long, late day sleep so consequently we decided not to push the issue any further. She went to sleep this night with her dummy. Throughout this day I casually spoke about the Dummy Fairy and we imagined what she might look like, how big she was and what she used to carry the dummies. We wondered what she did with the dummies and older sister, (3) decided she must give them to the Dummy Fairy babies. 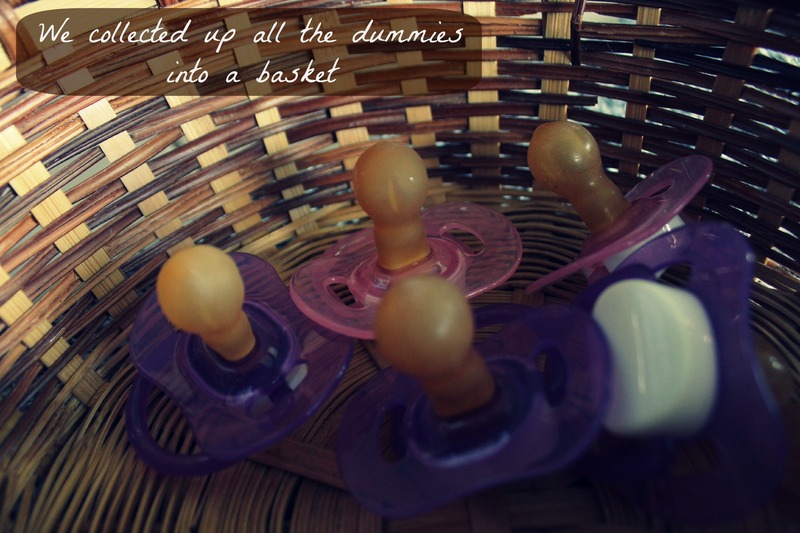 When bedtime came, I asked our youngest whether she would like her dummy to sleep or whether she would like to collect them all in a basket for the Dummy Fairy. She clearly said Dummy Fairy so we began collecting them all up, making sure not to forget any hiding in day care bags or nappy bags. She then had the choice of where she should place the basket for the Dummy Fairy to find. She confidently strode into her bedroom with the basket and tucked it neatly inside her bedside table. I was worried initially that the temptation to retrieve a dummy from the stash would be too great once the reality of trying to sleep without one set in. But I trusted her and supported her decision to place them in this position. We then set about going through her normal bedtime routine – brush teeth, stories, cuddles, lights out. During the stories she looked for her dummy in its usual position but when it wasn’t there we reminded her that she was giving her dummies to the Dummy Fairy tonight. She never asked again. We finished her stories and cuddles and turned off the lights. At this point she became clingy and we offered her comfort. We acknowledged “We know it’s hard for you to sleep without your dummy. We have faith that you will soon learn. We will help you. Would you like me to stay with you a little longer tonight.” With her little ‘yes’ I snuggled down next to her in her bed. I stroked her hair gently, helping her to reach a state of relaxation with soothing lullabies. Once she was still and serene (but awake) (about 45 mins) I let her know I would be leaving the room but would come back if she needed me. She let me leave and remained quiet for about 10 mins. After this time she called out for me (not crying just calling). I went in and found she had turned on the light. I reminded her it was sleep time and the light needed to stay off. I then knelt by her bed and stroked her hair. She held my other hand and again reached a state of relaxation. At this point I stopped stroking and just held her hand. When she didn’t object, I carefully removed my hand from hers and just knelt by her until she was asleep. That night we replaced her dummies with some small gifts and a little note from the Fairy. 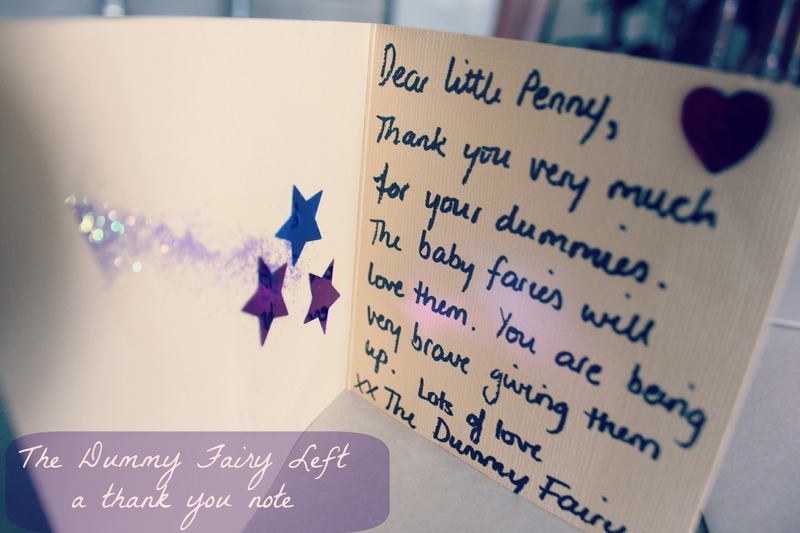 Big sister had also found some old (unused) dummies to leave for the Fairy also so she too got a little gift and note. They were both so excited to find their baskets adorned with fairy dust and a personalised note. Without the dummy, the option for a day sleep was passed on. This was not unusual for our daughter, though as her day sleeps had already become more and more infrequent (less than 3 a week). Come bedtime, she was particularly tired though which I thought would be more conducive to her sleeping quickly. As I lay with her after our usual routine, I could hear her making sucking noises with her mouth. It must have felt really strange to her not to have something in there to send the message to her brain to switch off. I spoke of this to her gently and again reminded her how much we loved and trusted her to be able to do this. On this night, I stroked her as in the previous night but stayed for a shorter period of time (probably 20 mins) before leaving in the same manner as Day 2 above. I stayed out a little longer too. She turned her light on and played happily until we returned about 15 mins later. We then repeated a pattern of staying in for 5 mins and then out for 10 mins, giving her the opportunity to get to sleep without us or the dummy, for about an hour. As she was no closer to sleep, DH finally chose to stay in with her to stop her turning on the light to play. He sang beside her bed until she stopped squirming and then sat on the floor until she went to sleep. On the fourth night we read her stories and sang to her to relax. DH then stayed in there until she fell asleep. He sat on the floor beside her bed in the dark. There was no interaction between the two, he was just there. She wriggled and squirmed for about 20 mins until she became still on her pillow. About fifteen minutes later she was asleep. Fully prepared to continue with our presence in the room until our daughter had become used to putting herself to sleep without a dummy, we were surprised tonight when after our usual routine, she did not cling to us, wanting us to stay. We kissed her goodnight, as we had done pre dummy weaning, turned off the light and left the room. I peeked in at her 10 minutes later and she was fast asleep. We are prepared for a regression of course but are now totally confident in her and our ability to see her through any hiccup that may present itself. I had always dreaded the dummy weaning process but the two words I would use to describe these few nights with our daughter are beautiful and precious. 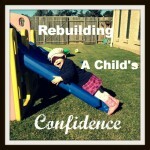 We listened to our daughter, supported her when she needed it and gave her just the right amount of space to work it through and come to terms with it herself. 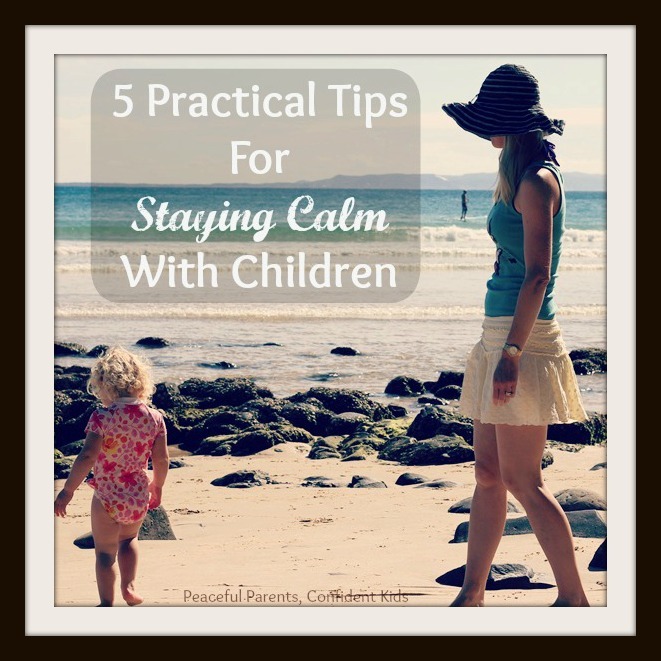 This entry was posted in Expressing Emotion, Parenting Peacefully and tagged Acknowledging Feelings, Dummies, Dummies affecting teeth, Dummy Weaning, Empathy, Gentle Parenting, Pacifier Weaning, Pacifiers, Respectful Parenting on May 11, 2014 by peacefulparentsconfidentkids. Hi Kate! This is lovely! Can you tell me why you chose two years of age to dummy wean? Is this RIE or was this just something you decided on in relation to the medical issues you mention? Thank you so much!